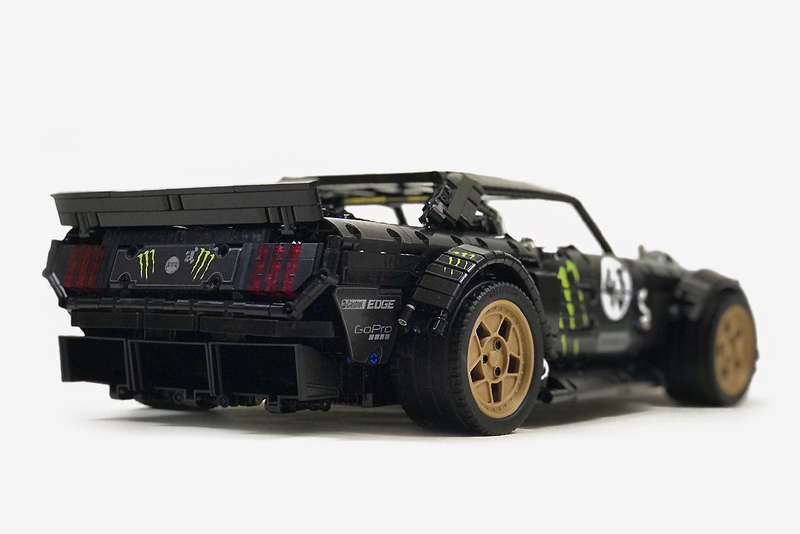 Auto enthusiast and brick master Lachlan Cameron recreated Ken Block’s Ford Mustang RTR Hoonicorn V2 (above bottom) using a plethora of LEGO Technic parts (above top). Featuring the iconic 1965 Mustang shape, various wheel options, and even miniature turbochargers sticking out of the hood like its real-life counterpart. Yes, it even drives, thanks to working steering, eight functional lights, an in-board suspension, all-wheel drive, electric motors and a transmission. Read more for a video, additional pictures and information. 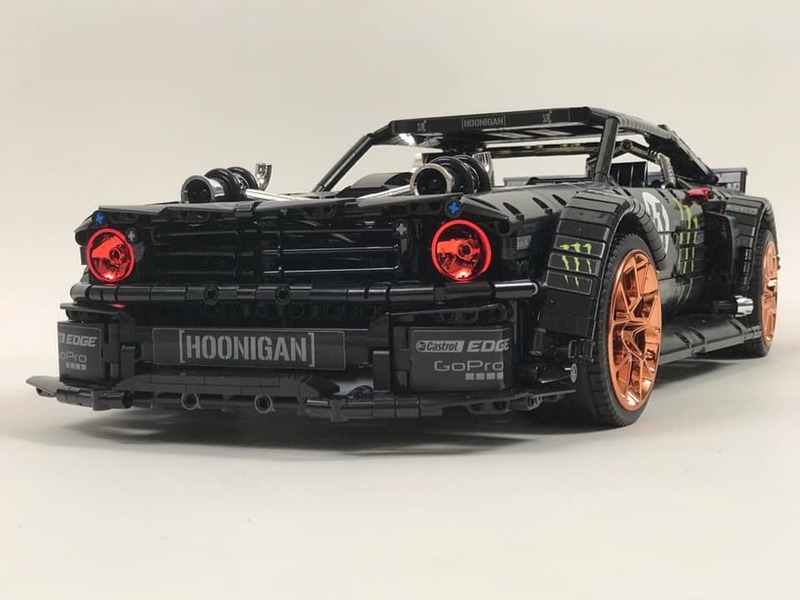 “Ken Block’s Hoonicorn V2 was built to allow the rally driver to drift his way up Pikes Peak. Thanks to the car’s twin-turbocharged 6.7-liter V8 engine, the vehicle pumps out 1400 hp at the crank. All of this grunt is sent to the pavement through a custom all-wheel drive system. As far as drifting machines go, it is hard to find anything crazier than the Hoonicorn V2,” reports Car Scoops.